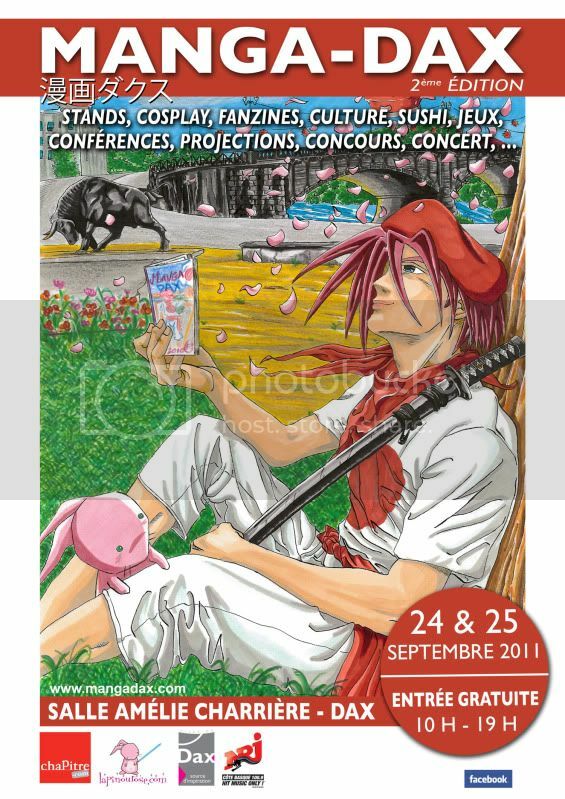 The second edition of Mangadax, the ONLY manga anime convention in my region is confirmed! It will take place on Dax, salle Amélie Charrière on the 24/25 September. cool. wonder how much it's grown since last time. I'm impatient and curious too! I hope there will be a cosplay event!